Let's get ready for a derby! 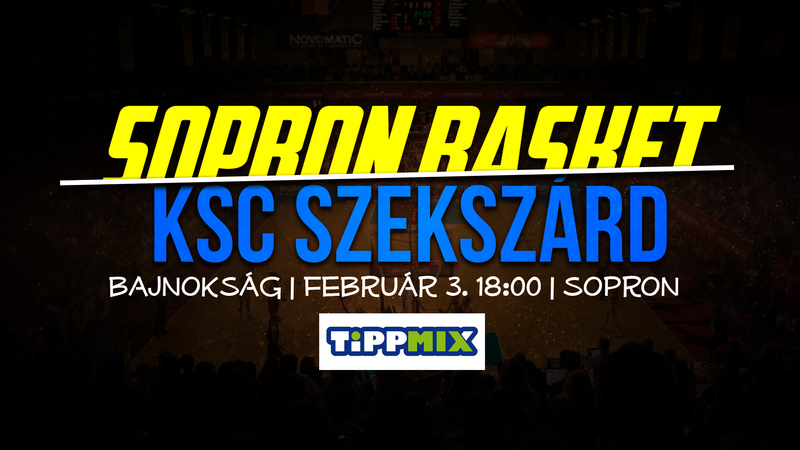 From 6 pm on Sunday we are hosting Atomerõmû-KSC Szekszárd who are right behind us in second place on the table in Novomatic Aréna in the 16th round of the championship. The mid-week appearance brought more success to our rivals, because after erasing their 17-point deficit from the first leg they eliminated Polish side Bydgoszcz in a comfortable manner. As opposed to that in a game of two opposite halves we came back from a 17-point margin, and took over the lead against Salamanca, but in the end they were the more accurate side. In the domestic league there are seven rounds left including the one this weekend, and our team is way ahead of all the others, leading the league with an unbeaten record. The runners-up of the last two seasons, Szekszárd are behind us in the second place with three defeats. One of those against us, on their home court back in October. Because of the injuries our team is still not at its full capability, we couldn't recover our form from December. In this rough stretch the mental and physical demand is huge on the players, and it shows in games in forms of some weaker periods. If we could reduce these minutes, we could still get anywhere on the international stage, while domestically there doesn't seem to be an opponent that could keep up with our Euroleague-trained team. We asked Debóra Dubei about her feelings and expectations before the derby.